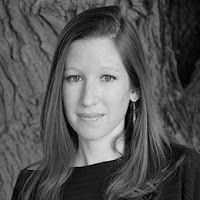 Lauren Kate grew up in Dallas, went to school in Atlanta, and started writing in New York. She is the author of Fallen and The Betrayal of Natalie Hargrove. She lives in Laurel Canyon with her husband and hopes to work in a restaurant kitchen, get a dog, and learn how to surf. She is currently at work on the sequel to Fallen. Here is a description of her newest novel, Fallen, which was just recently published. "There's something achingly familiar about Daniel Grigori. Even though Daniel wants nothing to do with Luce--and goes out of his way to make that very clear--she can't let it go. Drawn to him like a moth to a flame, she has to find out what Daniel is so desperate to keep secret . . . even if it kills her. 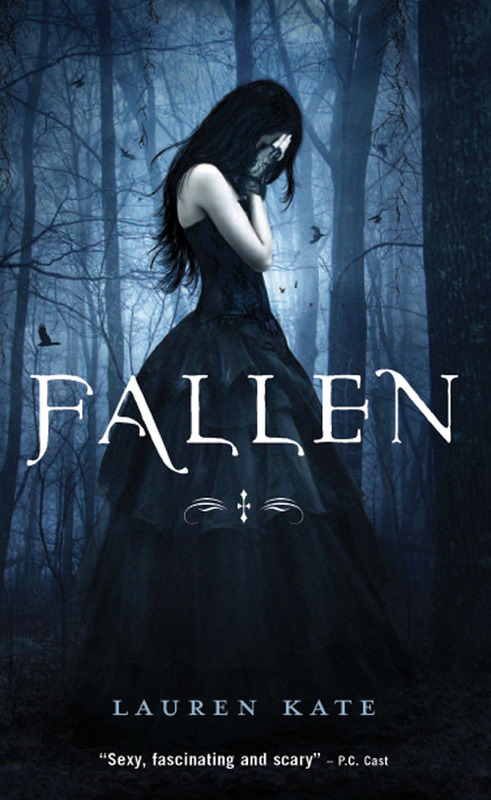 Dangerously exciting and darkly romantic, Fallen is a page turning thriller and the ultimate love story." Amber: When did you first realize you wanted to be a writer? Lauren: I'm sure there are many answers to this question, but I do remember a moment in 8th grade when my favorite English teacher passed back the journals we'd been keeping all year and the only comment written in mine was: "Lauren, you are an enigma." I wasn't sure whether she meant it as a compliment or merely "what a weird kid," but for some reason it spurred me on. Maybe I wanted to write until I understood what she meant. But I guess I'm still getting that reaction out of my readers 15 years later! Amber: How long does it take you to write a book? Lauren: Recently, less time than I'm used to. In the past, I've worked on books for at least five years. Fallen, and its sequel--Torment--both took about two months to get a first draft out, and another month to do revisions. It's a breakneck pace. I write every day for 5-8 hours. But for some reason, it works for these books. I think the urgency of my writing feeds into the urgency of my characters. Amber: What would you say is your interesting writing quirk? Lauren: I dream a lot about my characters. Most of my dreams are completely whacko and never make it into the pages of the manuscript, but they do tell me things about what my characters are going through and I often wake up feeling like I know them a little bit better. For example, last night I dreamt that Luce was colecting antique doorknobs while watching a parade with John Edwards. Who knows what it means, but I'm sure something related to it will show up in a book one of these days! Amber: Where do you get your information or ideas for your books? Lauren: I guess it's about a quarter research into angel/demon lore (I can't tell you how many books I've read with the word Satan in the title!) and three quarters life experience. Many of my characters are based on combinations of friends and family members. I just mix everything together and whatever pours out goes into my writing. Amber: What do you like to do when you're not writing? Lauren: I love to cook big elaborate meals and have a bunch of friends over for dinner. I go running or hiking in Runyon Canyon near my house. My husband is maybe the world's best pinball player so we hit up a lot of arcades. I really want to learn to surf! Amber: What does your family think of your writing? Amber: What was one of the most surprising things you learned in creating your books? Lauren: Probably how volatile human emotions are. That might sound sort of out there, but what I mean is, I'd often find myself writing a scene and thinking, well Luce could feel about thirty different ways right now based on everything that's happened to her. She could be mad about this, ecstatic about that, wistful over this other thing--all at the same time. Having to pick one was challenging for me and it made me think a lot about why, outside of books, we humans act the way we do. Why so often we say or do things we don't mean. Because we have to act in real time--without an editor to say, hey, don't you really mean to say this? We rarely get the chance to revise our real life scenes without paying for it first. Amber: Do you have any suggestions to help others become better writers? If so, what are they? Lauren: Find inspiration in everything you can. Make the whole world your muse. I've always loved to write, but I used to think nothing good enough had happened to me to be able to tell a story. That's all wrong. All you have to do is open yourself up to see the world from a storyteller's perspective, and everything becomes a potential book! Amber: What do you think makes a good story? Lauren: I love stories with a mix of humor and heart, with characters who aren't like me but whom I can relate to. I like anything that takes me on a journey, that surprises me and feels fresh. Amber: Do you think that you will continue to write books? If so, what genres are you interested in writing? Lauren: I'll always be writing. I love writing for teens and can see myself doing it for a long time to come! Hope you guys enjoyed reading a bit about Lauren Kate! Be sure to check out her novels. * To see my review of Fallen, click here. Fun interview. So glad to hear her family is so supportive. Happy to hear she loves to write for teens!